What’s New in Open Shelf? is a Table of Contents of sorts. Open Shelf publishes when we have compelling new material. We are hoping for every two weeks. In this release we are talking about cuddly dogs, bold novels, manipulative politics, advocacy reborn, being bossy, and inspiration in Guatemala. We are also trying out a new idea: a newsletter within a magazine. Allison Bell introduces us to Bella and the popular idea of bringing in therapy dogs to work with stressed out students. Paws for a Study Break is a guide to all things four legged. If you think graphic novels are just for kids with longboards, think again. Liz Zylstra has story about Graphic Novels for Adults in the County of Prince Edward Public Library and how your library can engage readers with them. Gabriel Garcia Marquez famously said “If you don’t take care of politics, politics will take care of you.” I think John Pateman would agree. Politics is the latest instalment of his Open to All? column and it takes on the uneasy mix of libraries and politics. In the first of the From the President column, OLA President Anita Brooks Kirkland introduces the new advocacy efforts of OLA: Value, Influence, Positioning. In You’re Not the Boss of Me OLA Executive Director Shelagh Paterson riffs off the current “bossy” meme and highlights the continuing struggle for gender equality. Despite advances and changes, the library community still faces significant challenges. Let her know what you think. Librarians Without Boarders is a remarkable group, and its easy to see why as Sarah Dahlen and Carolyn Doi talk about their experiences in Guatemala. Librarians Inspire Guatemalan Students to Celebrate a Love of Reading is a story about making a difference. 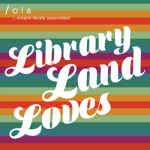 With this release we are including a set of articles that comprise an edition of InsideOCULA, the newsletter of the Ontario College and University Library Association. In addition to a message from the OCULA President (Sophia Apostol), a Research Spotlight on LIS Field Experiences (Judith Logan and Sandra Herber), and an Around the Province insight into a writing camp (Martha Attridge Bufton), the newsletter includes two features on the CARL Librarians’ Research Institute (Jenaya Webb and Martha Attridge Bufton), an article on aboriginal research ethics (Martha Attridge Bufton), and a reflection on sabbaticals (Kristin Hoffmann). Always, let us know what you think of Open Shelf.